Florida has some of the strictest laws on drugs in the nation. Possession of almost any controlled substance not legally obtained from a valid doctor could result in felony charges. If you have been charged with possession of a controlled substance in Florida, you can face very harsh penalties. This offense can be penalized as both a Florida offense and a federal offense. Possession of a controlled substance can lead to prison time, fines or both, in addition to lifelong repercussions. It could become difficult to find a job or housing, plus you could lose your right to get behind the wheel. If you have been charged with this serious offense, an experienced Tallahassee drug defense lawyer can analyze the particular facts of your case to find potential defenses or circumstances mitigating your charge. The attorneys at Pumphrey Law are knowledgeable about Florida’s drug laws, and can find the best possible outcome for your alleged offense. If you have been charged in Tallahassee, Monticello, Quincy, Bristol or the surrounding areas, contact our offices to learn more about your defense options. A drug possession charge does not have to mean a lifetime of repercussions. Call (850) 681-7777 to schedule a free consultation. A controlled substance is a prescription medication, an illegal drug or any other banned substance that has the potential to be abused, lead to addiction or can result in physical or mental harm. These substances could include those prescribed by a doctor, but also drugs not for legal sale or use. Possession in Florida can be defined as actual or constructive possession. Actual possession is commonly defined as direct control over the controlled substance, or the controlled substance is actually on your body, such as in your hand. Constructive possession has a more vague definition. This type of possession requires the alleged offender to be aware of the controlled or illegal substance. This means they had to know the substance was illegal and that the illegal substance was in the vicinity of their presence, or close enough for the person to actually possess the controlled substance. For example, if a driver’s vehicle is searched after a routine traffic stop and an officer locates a bag of marijuana under the seat, the officer could argue the driver was in constructive possession of the illegal substance. The degree of possession can be a mitigating circumstance if someone is charged with possession of a controlled substance. If the prosecution is unable to prove an alleged offender had either actual or constructive possession of the controlled substance, they will be unable to charge the alleged offender with a possession charge. 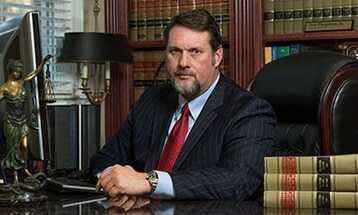 A drug attorney in Tallahassee can fight to prove you were not in possession. According to Florida Statutes § 893.03, controlled substances in Florida are classified into various schedules, from Schedule I to Schedule V. Schedule I drugs have the most serious penalties, whereas Schedule V drugs incur very light punishments. Schedule I drugs have a high potential for abuse and no acknowledged medical use in the United States. Some examples of controlled substances in this category are GHB and heroin. Schedule II drugs have a high potential for abuse and a very limited accepted medical use in the United States. Common examples of controlled substances in this category are opium, cocaine, morphine, Adderall and Vicodin. Schedule III drugs have a potential for abuse, but lower than Schedule I or II drugs and an accepted medical use in the United States. Examples of controlled substances in this category are barbituric acid and anabolic steroids. Schedule IV drugs have a lower potential for abuse than Schedule III drugs and accepted medical uses in the United States. This includes Xanax and Ambien. Schedule V drugs have the lowest potential for abuse and accepted medical uses in the United States. Illegal possession of prescription drugs could result in criminal charges. This means if a person is in possession of a prescription drug, but does not have a valid prescription, he or she could be arrested. If a person has more of a drug than what a prescription calls for, he or she also could face charges. Florida Statutes § 893.13 defines the penalties for Possession of a Controlled Substance in Florida as determined by the schedule of the drug that allegedly was possessed. The amount of drug possessed also could lead to possession with intent to sell charges. A conviction for possession of a controlled substance in Schedule V is a misdemeanor of the first degree. This conviction is punishable up to one year in jail and/or fines up to $1,000. Possession of 20 grams or less of marijuana also is considered a first-degree misdemeanor. Possession of a controlled substance in Schedule I, II, III or IV is a felony of the third degree. This felony can involve Florida prison time of five years or less and/or fines up to $5,000. If convicted of any narcotics possession, you also could have your driver’s license suspended for two years. Convictions under federal statutes for possession of a controlled substance can be much more severe, and a prison sentence will be served in federal prison. A possession charge does not have to mean a conviction. You may think you do not stand a chance with the evidence against you, but there are options to fight a possession of a controlled substance offense in Florida. For example, your constitutional rights may have been violated. If the arresting officers conducted an unreasonable search and seizure, or illegally searched you, your home or person, which resulted in finding weed, your marijuana defense lawyer may be able to file a motion to suppress. A motion to suppress can be used to suppress evidence found through an illegal search. Anything found in an illegal search is inadmissible, meaning it is not valid, and this type of motion would prevent the prosecution from using this evidence against you. Without the illegal substance as evidence, the prosecution likely would not have a case. Other options to fight a possession of a controlled substance charge include mistaken identity, lack of evidence to justify the charge, entrapment or inability to show possession of the controlled substance. Proof of possession is one of the most important elements of the case. If there is no evidence, the charges could be reduced or dropped. If you have been charged with possessing a controlled substance in Leon County, Wakulla County, Jefferson County or a nearby area, contact Pumphrey Law to discuss the facts of your particular case. It is important to hire a knowledgeable criminal defense attorney who can help you achieve the best possible outcome for your charge. Contact us at (850) 681-7777 for a free consultation.